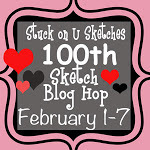 Welcome to SOUS's 100th Sketch Blog Hop! You should have come here from Erica's blog.There is a very exciting line up of designers that are showcasing their work with this lovely sketch done by Leah! If you've stumbled upon my blog and want to start at the beginning, please go to the SOUS blog for the right order. There are some great prizes to be won. 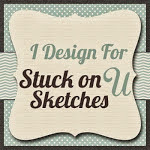 As well, many of the designers are offering a RAK on their own blogs, so you don't want to miss out on that as well! The hop is running from Feb. 1-7, so you have tons of time to take in all the goodness! Hope you've enjoyed my layout! 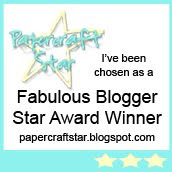 As a small token, I'm offering some blog candy today to one of my followers who leave a comment on today's post. 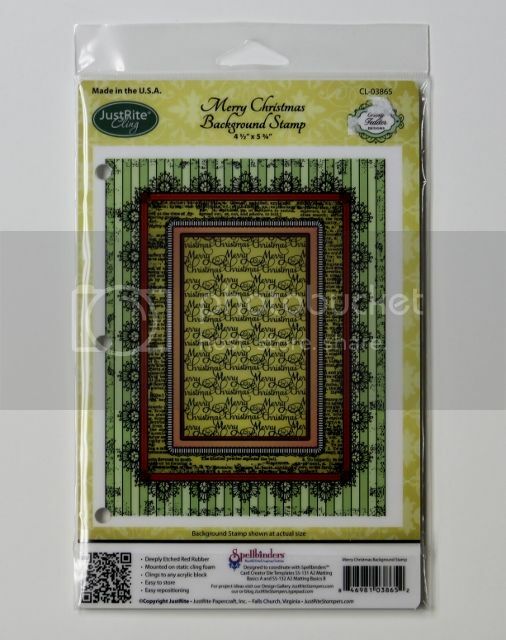 Up for grabs is this great Merry Christmas Background Stamp! Please be sure that you check back here on Feb. 8 to see if you were the lucky winner! You will have one week to claim your prize. 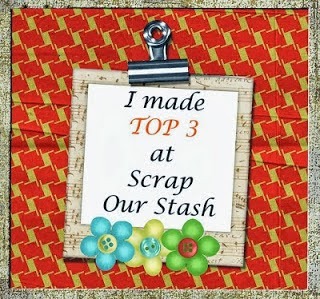 Now, if you're ready for more scrappy goodness, please head on over to Caroleanne's blog and see her wonderful creation! This is very nice. Lovely elements. Perfect subject. She'll love having these to look back on some day! What a fun memory this will be for her. Nice page. What a fun page! I love all the flowers!!! Renee looks adorable...and too cute with that moustache! I'd have shivers if my daughter came home with a realistic looking mustache too! This layout is the perfect way for her to remember her day - I'm glad you recorded it for her in such a great way! That moustache truly does look real! You created a great layout for it though and I'm sure your daughter will love looking back on it! Another stunning piece! This hop is awesome!! Great work :) New follower!! honor of my Daddy....but what a fun page and love the border at the bottom!!! Hope you have a wonderful weekend my dear...HUGS! Great layout, Charlotte!!! Photos are too cute!! Have a great weekend!! Hugs!! This one is so darn cute starting with the photos! And the flowers at the bottom and the strip journaling all make for a great page! I like your layout. The flowers are pretty. I am a new follower of your blog. Hopping along..what a great page.! Very pretty layout. Love the flowers. I'm a new follower. Hi Charlotte, Love the story, the pictures and the layout. Great! What fun photos Charlotte!! 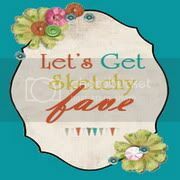 Very pretty layout...love your take on the sketch! Such a fun layout! I remember the fun days when my girls were in high school. Cherish each moment. love the color combo on this layout!! LOL! Great story!! Love how the page is very pretty to counter the "stash" story. Perfect! Gorgeous Layout! This hop has been full of scrappin talent! a wonderful layout and lovely blog! thanks for the hop! Charlotte, what a great page.... And I love that picture 2 funny! What a cute page of your daughter, great take on the sketch. I love the way your daughter dress for this special day and I must agree the moustach does look real. LOL! TFS! Your daughter definately shouldn't wear that much. lol. Love your layout. TFS. Such a great take on this sketch! I love, LOVE that fun photo!!!!! You scrapped it beautifully!!!! Fun photos & layout. Reminds me of when my daughter was younger. She is now 21 & a junior in college. I miss her. Love the flower embellishments, what a pretty page.